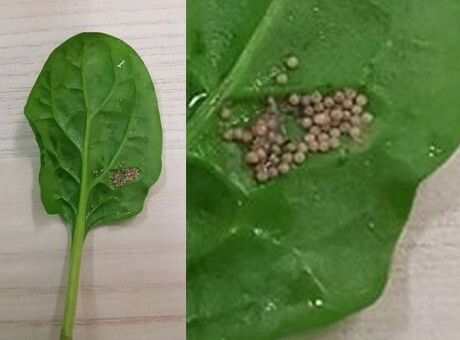 A Coles customer ready to tuck into a bag of baby spinach found a series of mysterious bug eggs stuck to the leaves. The Sydney woman said she bought what she believed to be “prewashed and ready to eat fresh greens”. But no. University of Queensland entomologist Kathy Ebert told Yahoo7 News the eggs were like to be those of noctuid moths, which are prone to laying eggs on spinach. Ms Ebert said they wasn’t necessarily any health risk associated with consuming them.